Notes: Preston Tower is a ruined L=plan keep in the ancient village of Prestonpans. It is situated within a few metres from two other historic houses, Hamilton House and Northfield House. The original structure, some of which may date from the 14th century, has four storeys. A further two storeys were added above the parapet in 1626, with Renaissance windows bearing the initials SIDKH (Sir John and Dame Katherine Hamilton). The entrance to the Tower had a lean-to hoarding from which items could be dropped, for instance boulders, hot sand, or boiling oil. Preston passed by marriage to the "haughty Hamiltons" (also known as "Hameldone") at the close of the 14th century. It was burnt by the Earl of Hertford in 1544 during the Rough Wooing, and by Oliver Cromwell in 1650. After being restored it burnt again, accidentally, in 1663 and was abandoned for the nearby Preston House, East Lothian. One of the Hamilton family was the noted covenanter Robert Hamilton, a commander in the battles of Drumclog and Bothwell Brig. After this, the family were forfeited in 1684, but recovered the property in the 19th century. Preston Tower was purchased by the National Trust for Scotland in 1969. It is currently under the guardianship of East Lothian Council. 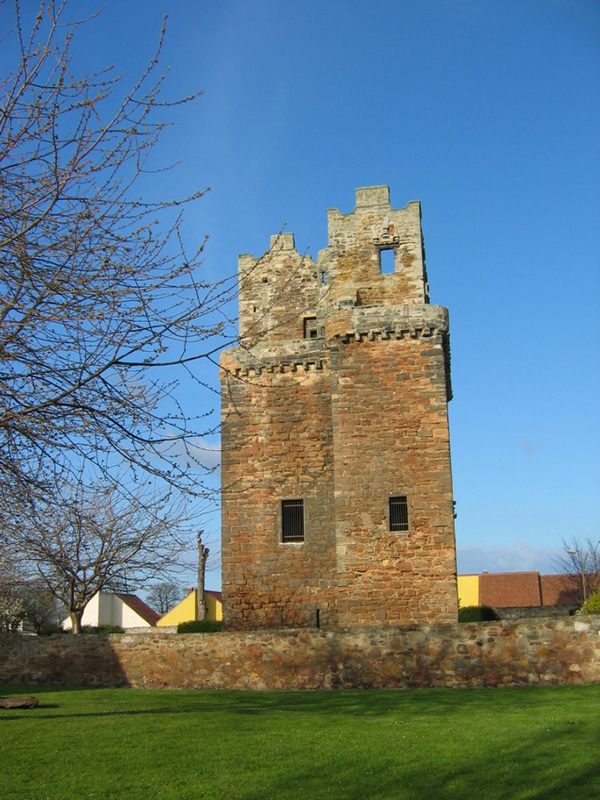 The site also has a laburnum arch, and a herb garden, and a lectern-style doocot which dates from the mid-17th century, after Cromwell had sacked the Tower.